A new child, a new house, a new neighbourhood: rob mclennan takes the measure of his environment in A perimeter, a collection of shorter and longer pieces from 2010 to 2014. The birth of a child, and the moves that follow in its wake, brings about a defamiliarization of the world, and the poems in A perimeter reflect this newly enhanced awareness. 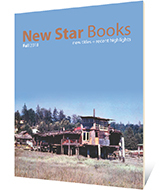 New life, new house, new roads, new greenspaces; the news — all are caught in these keenly observed poems. A perimeter is built around three longer works: the serial "Alta Vista Poem"; "A perimeter," a survey of the poet's new surroundings (the suburbs and countryside around his Ottawa home), and "A Rose Concordance," surrounding the first three months of his daughter, Rose. Interspersed are shorter poems reflecting on other aspects of mclennan's domestic and civilian life. rob mclennan is the author of over thirty books of poetry, fiction, and non–fiction, most recently The Uncertainty Principle: Stories (2014) and the poetry collection If suppose we are a fragment (2014). In 2016 mclennan was inducted into the VERSe Ottawa Hall of Honour. He lives in Ottawa with Christine McNair and their two small girls.